French fries make the perfect drunken snack, burger side or full meal. (Yes, we’re adults.) So the new FryGuys in the East Village is forgetting the mains and sticking with sides for an all–french fry restaurant. The spot from owners McKenzie Foster and Marco Lanuto just opened yesterday, and the menu includes all your favorites: sweet potato fries, waffle fries and classic-cut fries. It goes a little crazy with other potato eats, including latkes and potato salad, but nothing too far from the beloved carb. Meet McKenzie and Marco, the FryGuys. Two twenty-somethings who devised this genius idea the way most of us do, heading home after a long night out and in desperate need of some late night fried food. While the concept of creating an all french fry restaurant is pretty awesome, the fries really speak for themselves. Have them wavy or "OG" style and dress them up however you'd like. With a selection of approximately 12 different dipping sauces, expanding soon to 16, there is certainly something for everyone. But I would have to say they have really nailed it with their "loaded fries" selection. 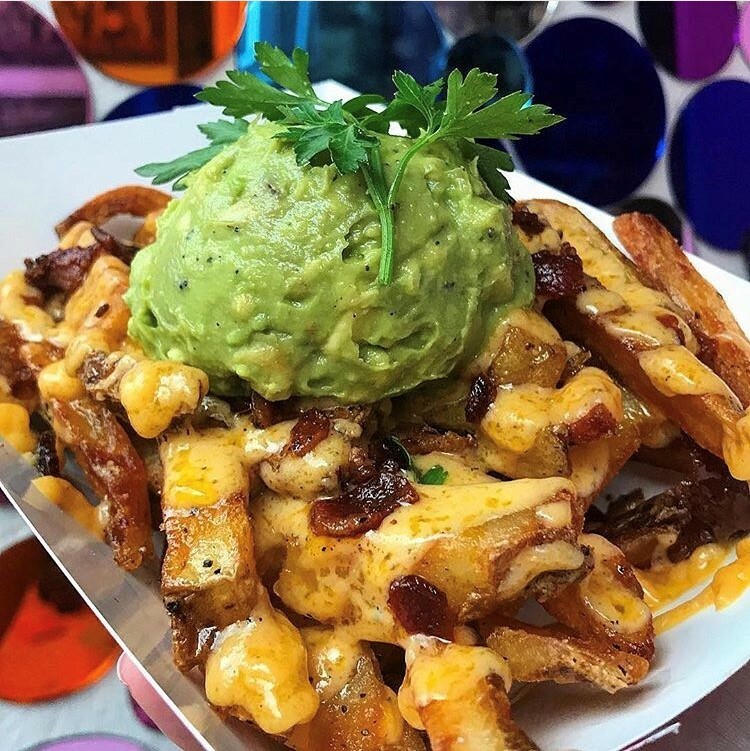 From guacamole and queso to pulled pork and coleslaw, chicken and waffles to the bacon, egg and cheese fries, they have answered all of our fried dreams, hungry eyes and empty bellies. Co-owners Marco Lanuto and McKenzie Foster aren't just sticking to the french fry model, though the majority of the opening menu includes riffs on the genre from classic to waffle to sweet potato, with the more rare cottage stuck in for good measure. Latkes, a seasonal specialty, will also be available for the opening, and next summer they'll serve "Marco’s mother's 'like no other in the world' potato salad."